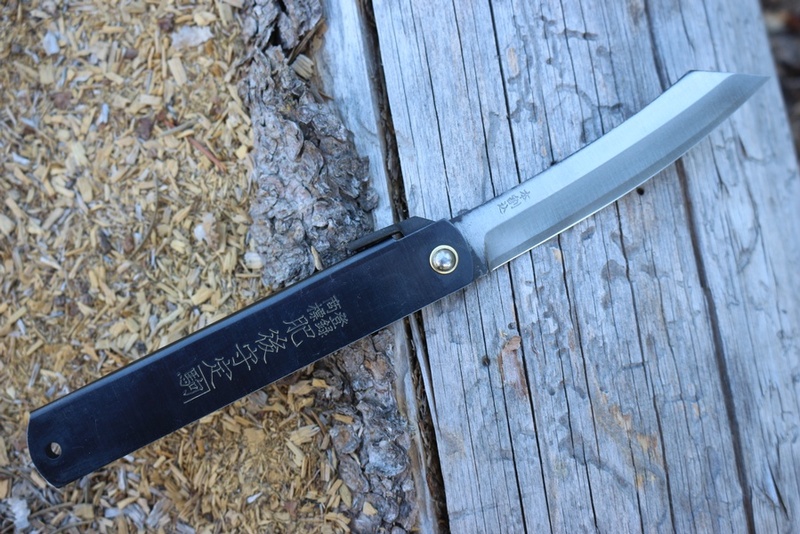 Handmade Japanese Carpenters knife, made in traditional SK layered steel. 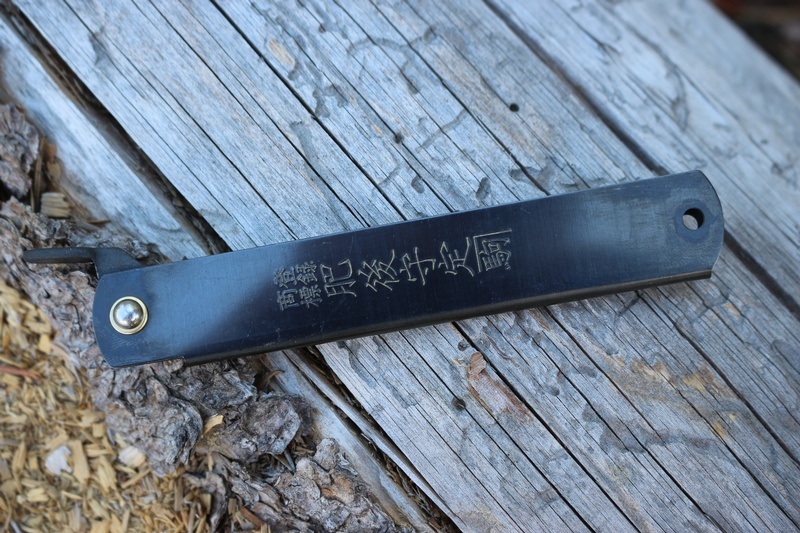 The 60/62 HRC blade is an excellent tool, ideal for fine woodwork and small tasks, the knife is steel handled with lanyard hole and inscribed Japanese charactors illuminate the Japanese samuri 'Miyamoto Musashi'. 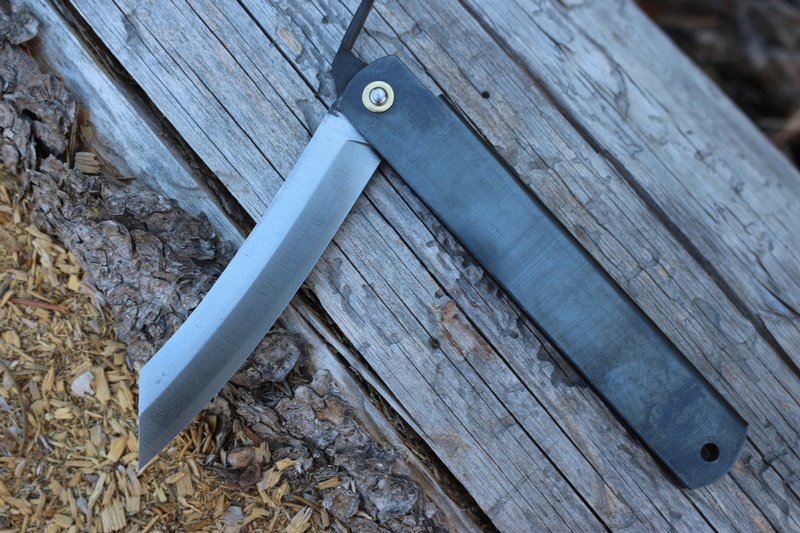 Blade is 95mm long, OAL 210mm. 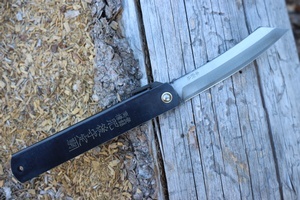 Purchase through PayPal by using the "Add To Cart" button above or use the form below to order the Traditional Japanese carpenters knife Large . 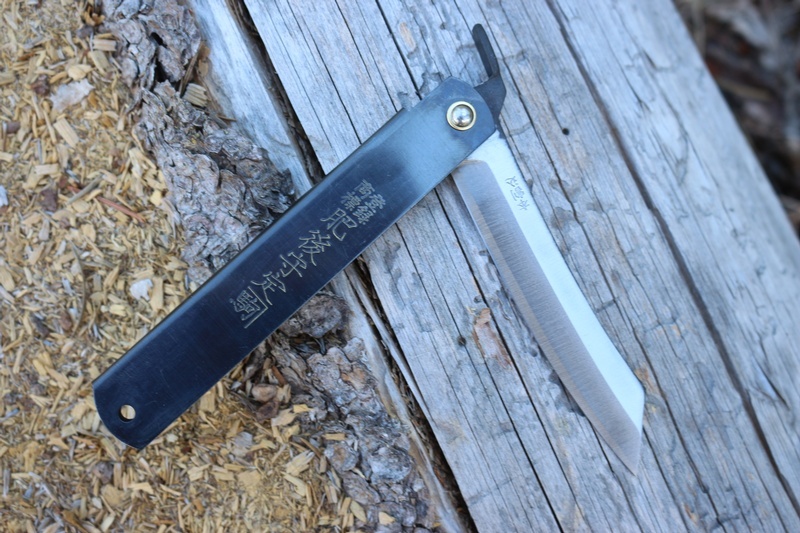 Feel free to contact us if you have any questions about the Traditional Japanese carpenters knife Large .